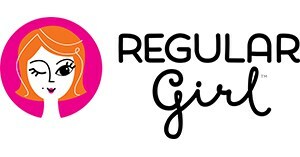 Regular Girl is a synbiotic blend of clinically proven prebiotic fiber and probiotics that help maintain a healthy digestive balance for women, men and children. Regular Girl contains Sunfiber® brand of soluble dietary fiber helps promote healthy gut bacteria growth. Regular girl contains 8 billion CFU of B. lactis (Bifidobacterium lactis) The Sunfiber® and B. lactis work together to support a healthy digestive and immune system. Regular girl is simple to use; just add one serving to your favorite cold beverage (non-carbonated), smoothie, cereal, etc. Regular Girl, the synbiotic blend of patented premium prebiotic fiber and specialized probiotics, has earned yet another distinction: It is now a Monash University Low FODMAP Certified™ product. Dissolves quickly and completely. No taste, odor, or grit. Use the code: CREATIVERD10 for 10% off your first purchase by clicking the link above.